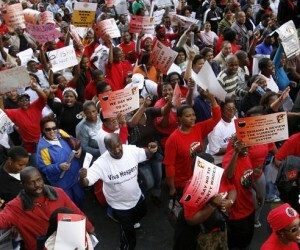 The on-going riots and labour disruptions in the platinum industry is causing South African businesses to continually feel the impacts of strikes, which is damaging economic growth, and in turn negatively impacting local businesses within the mining sector, as well as those inadvertently involved. Compared to a few years ago, when strikes were erratic, these incidents are steadily becoming more constant within the country, says Smith. She points to the 2012 Annual Industrial Action Report by the Department of Labour, released late last year, which revealed that strike activities increased by approximately 48% during 2012. A total of 99 strike incidents were recorded in 2012, and of these, 45 were unprotected. Smith says that one such way for businesses to protect themselves from strike-related risks is by making use of cover provided by Sasria, a state-owned short-term insurance company which has a mandate to provide specialised risk cover for physical damage caused by riots, strikes, terrorism, civil commotion and public disorder to corporate / commercial and individual policyholders. Reiterating the increasing need for strike-related risk cover is Sasria’s Integrated Report 2013, which revealed an increasing trend in claims frequency. 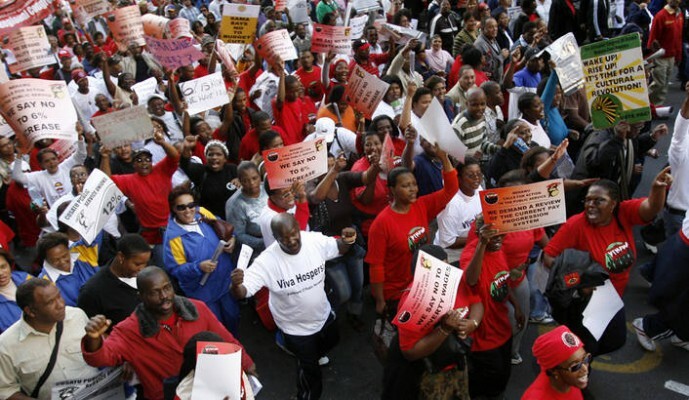 The report revealed a 91% increase in claims frequency, driven primarily by labour strikes, as well as an increase in claims severity of 135% for the period ending 31 March 2013. She points to another example: “While Sasria provides cover in receipt of the damages to an extent, it does not provide full gross profit cover. Sasria does however offer various solutions to take into account the varying requirements business may have wherein companies can purchase a combination of standing charges or uninsured working expenses together with net profit cover only. She says that the rising occurrences of riots and strikes highlight the growing need for local business to protect themselves financially from the possible risks associated with strikes. “Given the challenges in the marketplace due to industrial action, workplace disruption and protests, strikes and riots need to become a permanent part of a business’ risk management plan,” concludes Smith.